Tip Wheels: Tip wheels allow the towable aerator to easily pass through narrow openings. 6 Optional Weight Containers: Six optional weight containers (5 gallon capacity each) ensure optimal soil penetration. 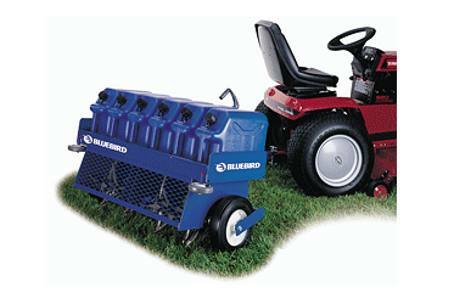 Aerating Depth: Up to 3 in. Removable Weight: 288 lbs. (6/5-Gallon) lbs.